We own and operate a wide range of plant that enables us to excavate, process and move large quantities of material. 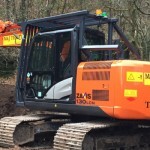 We can supply plant on a self-drive basis or with CPCS accredited operators. Excavators – one to twenty tones, long reach excavators, bulldozers, dumpers, agricultural tractors – with a range of implements, heavy cultivation equipment, trenchers and drain laying machines, rollers and compactors, crushers and screeners, dust suppression equipment. Our fleet of tippers and transporters mean that we transport our own plant and materials and can respond to customer requirements. 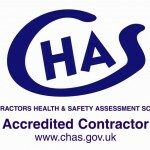 All plant hire is under Construction Plant-hire Association Conditions, a copy is available on request.